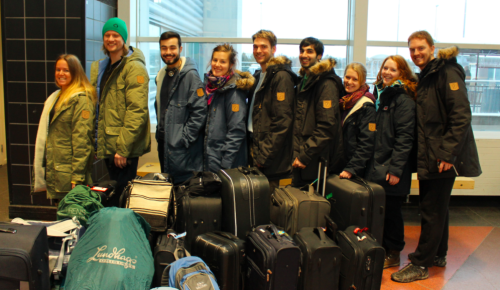 The Swedish Delegation to Global Leaders Development Program in 2014 is about to depart. The Global Leader’s Development Program was held in 2014 between January 27th to February 20th. This edition of the program was comprised to a shorter sea voyage with 8 days on shore, 9 days on board and 8 days on overseas locations for the Japanese Participating Youth (JPY’s). A total of 211 young people attended the cultural exchange program of which 87 were Japanese Participating Youth (JPY) and 71 was Overseas Participating Youth (OPYs).